A Peterborough man has died after being involved in a collision involving a highways maintenance vehicle resurfacing a road at Market Deeping. The road was being resurfaced at the time and police have confirmed the collision involved a car and a highways maintenance vehicle involved in the works. 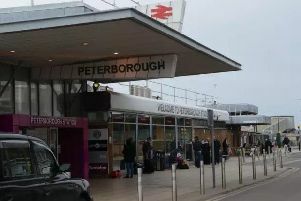 The driver of the car, a 26-year-old man from the Peterborough area, was taken to hospital but died from his injuries. Anyone who witnessed the crash should call police on 101 quoting incident 477 of April 30.